Have you started hunting for a new mattress or are you still thinking about it? Did you know that buying a new mattress is said to be more stressful than buying a new car? It’s not something you buy on very often and the retailers are bent on confusing you. But, if you collect some information before you start, the visits to mattress stores will be much easier to manage. With all the rave about latex mattresses, some people think innerspring mattresses are the worst kind you could get. However, that’s not true. Different types of mattresses fit different types of profiles and needs. 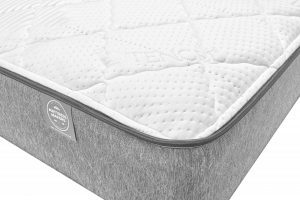 Here is what you need to know about innerspring and pocketed coil mattresses. People used to believe that the support a mattress would give depends on how many coils it has. However, it doesn’t go quite like that. The quality of coil construction is much more important when you want to determine the support. Double tempered steel coils are made to last and will provide strong support for years to come. Another thing is that innerspring mattresses are heavily covered in foam layers so they are much more relieved of heavy duty in comparison with their predecessors in previous decades. 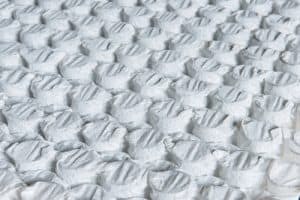 The type and density of foam will let you in on what to expect from the mattress. First of all, check for chemicals it contains. Chemical fire retardants will emit toxic fumes over time. It would be good to get one with foam that has a certificate stating it’s free of toxic chemicals. Next, most manufacturers produce 1.5lb density foam. Foam that has a higher density than that is bound to give you more comfort for a longer time. Mattresses with a strengthened edge will also provide enhanced support as they will prevent roll off and sag at the edges. This type is perfect if one of the partners is a restless sleeper because this type of mattress has a reduced motion transfer. Each coil is independently encased and they usually have more turns to make them stronger because they work separately. The more turns in a coil, the better the support and the softer the bed. This mattress make isn’t the best choice for large people as heavy weight will wear the springs quicker. 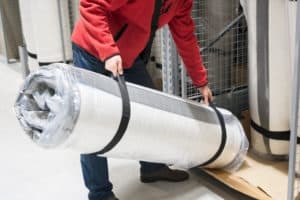 You should also expect these mattresses to be more expensive than continuous innerspring ones because more material is needed due to their construction design. 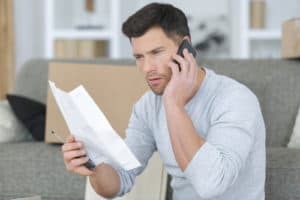 The final tip would be to simply go with your gut feeling along with these considerations. You should definitely inspect the quality, certifications and warranties, but don’t buy a mattress just on that basis. You must be able to try a mattress out to find out how it feels for you. If it appears too firm or too soft, there isn’t a certificate that would make that mattress right for you. Simply, take into account how the mattress feels on top of everything else. If you are checking out mattresses in San Diego, make sure you drop by Mattress Makers showroom. We manufacture premium quality mattresses and deliver them right to our customers, absolutely no middle-men and no mark-up. We can provide you top-notch quality at very reasonable prices because our business goes from our factory directly to customers. Call us to find out more and come to try out our mattresses! Finding an adjustable base mattress might be easier than finding the best adjustable base, making sure that base is safe to use with your beloved mattress. Among other factors to consider when shopping for adjustable bed bases, the question you need to ask is, “How long do best adjustable bed base and mattress last?”. So, let’s … Read moreHow Long do the Best Adjustable Base and Mattress Last? Buying a mattress for your child is an even bigger challenge than buying one for yourself. First of all, there’s the fact that they are growing and their bodies are constantly changing. Secondly, you want only the best for them, which adds some pressure to make just the right choice. Let’s have a look at … Read moreHow To Choose A Mattress For Your Kid?